Everyone has their own reasons to run. As I mentioned before, I’ve been a casual runner for about 20 years. During that time, I never had any interest in running more than four miles a day two or three days a week, usually taking winters off. I also had no desire to enter races. I’ve never been a competitive person (aside from Scrabble) and the thought of running longer distances seemed so far-fetched. Now, at the age of 35, all that has changed in the course of a few months. It’s killing me to take it slow after recovering from an injury and I have to repress the urge to run as far as I can. 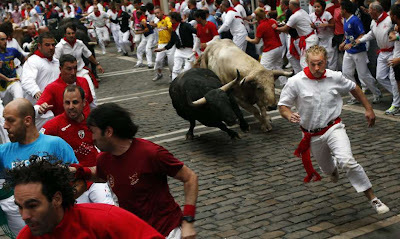 I read about races in my region and I can't wait until I'm ready to enter them. I get excited to read other runners' race reports and I'm anxious to pick up any training tidbits I can find. First, there’s Donald Buraglio. Although I never met Donald in person, I feel I got to know him fairly well through my job. 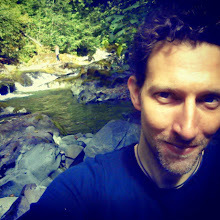 Donald is a blogger, an ultra runner and one of the favorite testers for Soft Star Shoes, since he gives excellent feedback and runs about a zillion miles a week. Soft Star's RunAmocs are his favorite running shoes and he has run several ultramarathons in them, including the famous Leadville 100-mile race. Donald documented his exploits through his highly entertaining blog, Running and Rambling (sadly, Donald retired his blog at the end of 2012, but you can still read the archives at www.runningandrambling.com). Part of my job is to keep tabs on mentions of Soft Star in the blogosphere, so reading Donald’s stories became routine. To say they were inspiring is an understatement. Before I started reading them, I thought 26-mile marathons were the ultimate running challenge and that only elite athletes in their 20s were suited to finish them. Now I was learning about a guy in his mid-40s who was finishing races of 50+ miles every few weeks. And Donald made those races sound fun, not competitive. This was all new to me. Donald crossing the Leadville-100 finish line in 2012. So I started thinking about running farther than four miles. Then there’s my friend Bruce, a dentist and very talented massage therapist. I met Bruce because Soft Star occasionally hires him to give chair massages to the staff during stressful times, like a busy holiday season. At the end of last summer I hurt my neck while surfing, so I made an appointment with Bruce. When I saw him, he told me I was his last patient before he flew out of town. I asked where he was going and he said, “Well, it’s my 52nd birthday this weekend and I just started running marathons. Since a marathon is 26 miles, and 26 x 2 = 52, it seemed like a good time to run two marathons.” He found two marathons on his birthday weekend in Wisconsin and Illinois, one on Saturday and one on Sunday, and registered for both. He finished each of them in his target time of less than 5 hours. Bruce’s accomplishment removed any question that I may be too old or too out of shape to start training for longer races (though I can’t say I’m eager to do two marathons a day apart). And yes, he fixed my neck in one quick session. I decided then to set the goal of running the Corvallis half-marathon this spring, then maybe—just maybe—work on a marathon some day in the distant future. You know, after months or years of serious training. I may have stopped there, but then I began dating a marathon runner. This woman never ran a marathon until she was 29. She decided she wanted to finish one before her next birthday, which she did after just a few months of training. She then ran eight more marathons in the two years that followed. I entered my first couple races with her (she smoked me in a 12k Jingle Bells run), and it was the first time I realized how fun and not-necessarily-competitive running races could be. Yes, I ran the Jingle Bells 12k with antlers. Who thinks running isn't fun? So now I wanted to run a marathon, and I had no excuses about waiting a long time to do it. Okay, one more: As a project for the Soft Star blog, I interviewed Tom Norwood from Luna Sandals right before he traveled to Mexico to run in the 50-mile Caballo Blanco Ultra (formerly known as the Copper Canyon Run, the climactic race in Born to Run). Tom, in his mid-40s, was in shape from being an avid cyclist, but he never ran seriously until about three years ago. He started running with Barefoot Ted and finished his first 50k ultra after one year of training. When he told me this in the interview, I had to stop to clarify and asked “So when you started running, you just jumped into ultras right away?” His answer was yes; street races never appealed to him, but running a long trail race was a completely different experience. He explained that trail ultras were less competitive and the people who entered them tended to do so simply because they love running. He said that in his experience, people on these courses stop and talk to each other and help each other out. He’s made many friends from trail races but hasn’t seen that kind of camaraderie on competitive street races. You can read the full interview here. 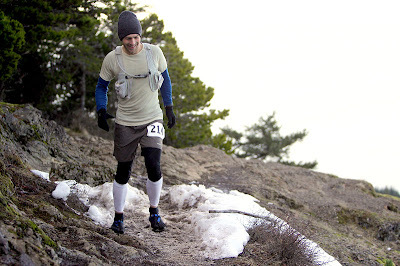 Ton running the Orcas Island 50k. Tom made a lot of Born to Run references in the interview, which I’m sorry to say I hadn’t yet read. A few days after speaking to him I felt I should be more familiar with the book, so I finally picked it up… and barely put it down until I finished. Borh to Run really put the things Tom said into perspective. I left feeling that I was not only capable of learning to run an ultramarathon, but that I really, REALLY wanted that experience. And that’s where I am now. I want to run an ultra trail race, at least 50k and ideally within about a year. I'll set a goal date soon—a minor setback from my ankle tendonitis taught me to avoid rushing and take the time to first learn to run injury-free. I sadly missed the Corvallis half marathon and it’s humbling to go from running 10 miles to running only 2 miles, but that’s the choice I made to re-train my body to run properly. I feel very fortunate to be embraced by a running community with the runners I meet across the country through Soft Star, my minimalist running workshop in Portland and a local running group I was recently invited to join. They keep me motivated and help me stay focused. And they all remind me that first and foremost, running is fun.